Our milk and dairy products are only available to members of the Raw Milk Dairy. Find out How It Works. In addition to milk, we produce eggs, pork, free-range chicken, and beef. Each is free of antibiotics and hormones. Our cows are raised on grass. 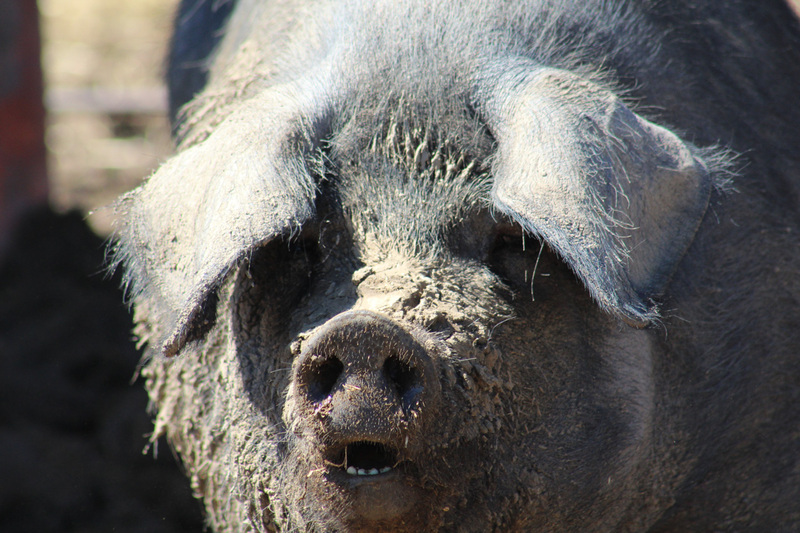 Our pigs enjoy a diet full of skim milk and organic grains. They live outside in the sun with room to root for bugs and roll in the mud. They are given access to 60 acres of farm ground where they can nibble on the volunteer plants and weeds growing there. Our laying chickens are housed cage-free in a large open air building the greatly exceeds the recommended space needs for chickens. We used to allow them to roam freely around the farm but suffered too much loss to predators. We feed the chickens organic corn, organic flax, sunflowers, organic millet, organic oats, and organic alfalfa. They also receive hydroponically grown sprouts that are harvested daily. These provide a living food to the chickens as well as attract bugs for the chickens to eat. Seasonally we have limited meat chickens available. These are given a similar grain ration and are moved daily around pasture in mobile chicken tractors. Our beef come from the male offspring of our dairy cows. Jersey beef is not the most economical way to raise meat, they grow slower and yield less overall than traditional beef breeds. We believe this slower growth is a fair trade off for the sweet, clean, delicious flavor of the meat harvested. Our following of folks that re-order each year seems to confirm this.